Paradise isn’t quite what it seems as four college friends meet for an island vacation in this captivating new novel from the acclaimed author of These Girls. Following a once-in-a-lifetime invitation, a group of old college friends leap at the chance to bring their husbands for a week’s vacation at a private villa in Jamaica to celebrate a former classmates' thirty-fifth birthday. All four women are desperate for a break and this seems like a perfect opportunity. Tina is drowning under the demands of mothering four young children. Allie needs to escape from the shattering news about an illness that runs in her family. Savannah is carrying the secret of her husband’s infidelity. And, finally, there’s Pauline, who spares no expense to throw her husband an unforgettable birthday celebration, hoping it will gloss over the cracks that have already formed in their new marriage. The week begins idyllically, filled with languorous days and late nights of drinking and laughter. But as a hurricane approaches the island, turmoil builds, forcing each woman to re-evaluate everything she’s known about the others—and herself. 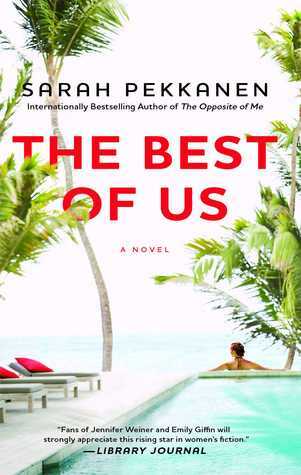 The Best of Us is perfect for the beach, something lite to pick up and easy to put down again. 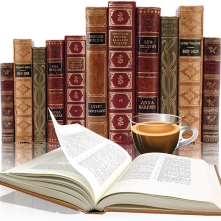 At times I struggled to pick up but there was something in that book that had me a little bit curious to find out what was going on. Though each of the different story lines were interesting I had a hard time connecting with these 4 women. Each of them had their own issues and that I could understand, the author created unique situations for each of them and they were all very plausible. But I just found I found it lacked the depth that I enjoy, that chance to really get inside the characters and see what made them tick. This was a quick read and my first novel by this author, I will most likely read another of Sarah Pekkanen's books.